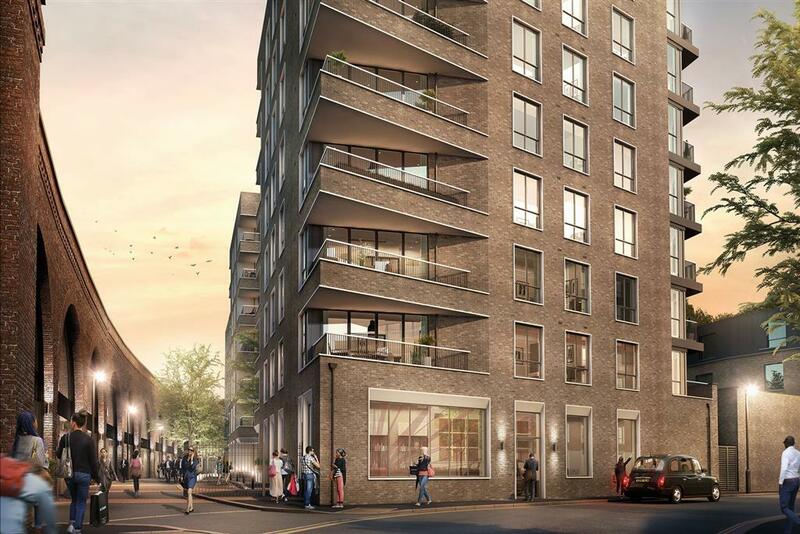 Dearneside is pleased to secure the balcony package on the Ferry Lane development in Walthamstow, North-East London. This development is currently one of the largest purpose-built rental developments in the UK. The scheme is being built on the former Ferry Lane industrial site by Walthamstow’s High Maynard Reservoir, transforming the existing aging industrial estate into a new modern and lively residential area. Its location near Blackhorse Road tube station, yet right next to the reservoir, makes it ideal for London renters looking for a bit more greenery. The development is being built to environmental standards, and once completed two hundred new trees and grass areas will be planted between the buildings and the reservoir, with the aim of creating an ecological corridor that protects local wildlife. The 2,000 sq m development will comprise of five buildings ranging in height from ten to 16 storeys and housing over 440 apartments and houses, elevated pedestrian walkways, commercial and community space, specialist start-up business units and even a microbrewery! This will be the first project with Galliford Try Partnerships and is due to complete in 2020. 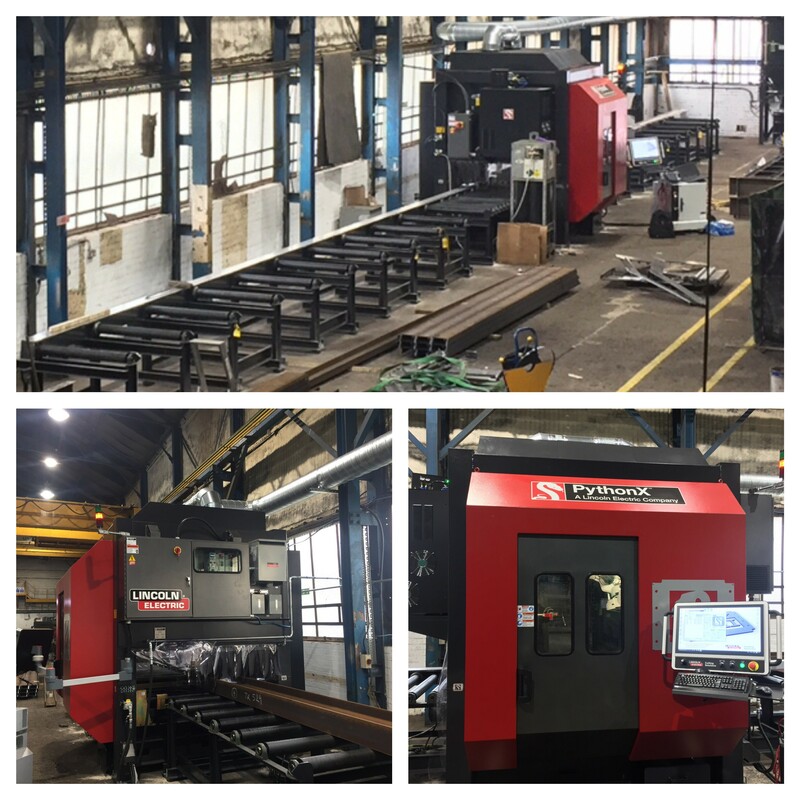 Last month Dearneside purchased a state of the art PythonX robotic CNC plasma cutting system, which is renowned for being “the world’s most productive structural steel fabrication machine”. It’s a combination of advanced CNC robotics and high-definition plasma cutting, equipped with software so sophisticated it programs cuts by itself. The machine will improve efficiency and standard in our fabrication shop thanks to its high speed precision metal cutting. It is also designed to only use 20% of floor space, compared to traditional fabrication, and takes about 20% of the processing time. The machine has now been installed and launched ready for 2018. 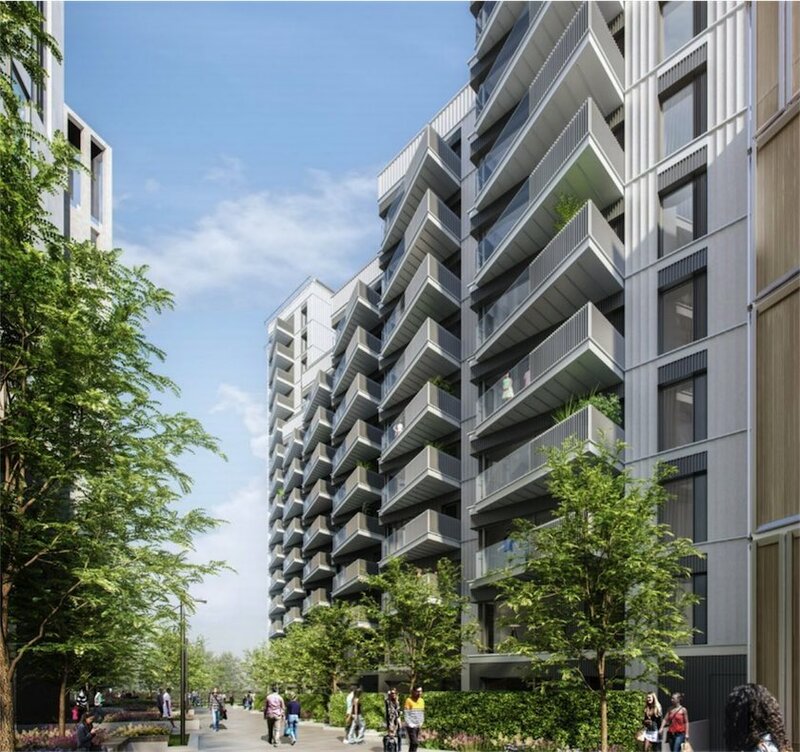 Dearneside is excited to have secured the balcony and architectural metalwork contract with Ballymore for blocks D, E and F at the multi-award-winning London City Island development. 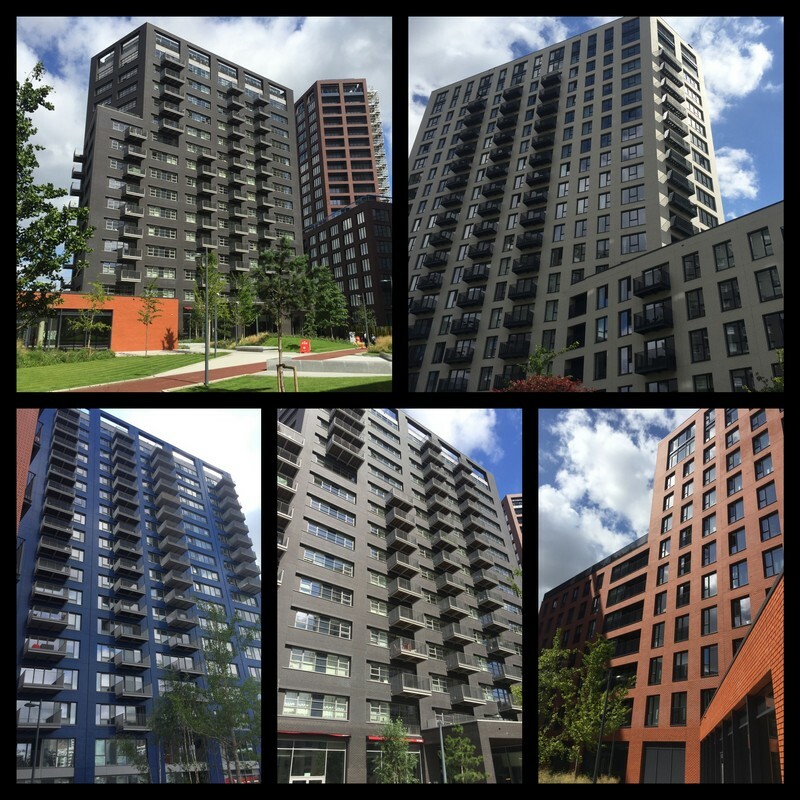 Dearneside were chosen as a supplier following the previous balcony and metalwork packages we supplied for phase one of the project (see photos). Located next to Canary Wharf and on the Leamouth Peninsula, London City Island will become an exclusive island neighbourhood surrounded by water, with a mix of residential and office space. Once finished, the 12-acre site will include 1,600 residential unites and 20,000 square metres of office space. Other key features of London City Island will be the English National Ballet’s new home, a brand-new footbridge and a range of shops and cafés. The Deaneside balconies will offer fantastic views overlooking the Thames, the O2, Canary Wharf and the City. This new breath-taking neighbourhood is already being dubbed the “Mini-Manhattan” of London, and we are looking forward to seeing it all finished. 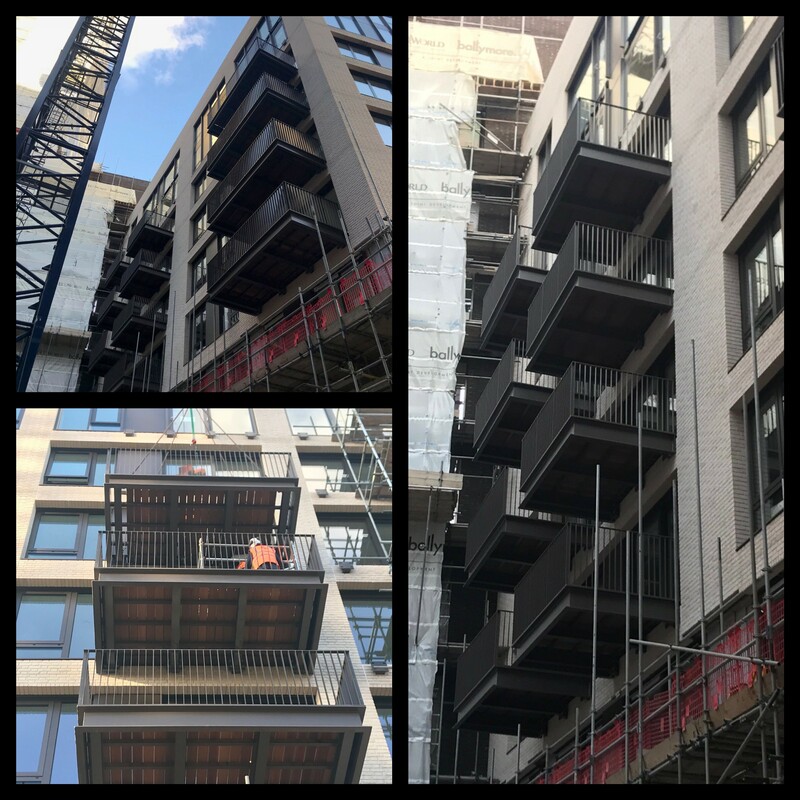 After completing phase one earlier this year, Dearneside is currently on-site installing over 250 balconies for phase two of the Embassy Gardens development. We are installing a series of modern bolt on and Juliette balcony designs to match the distinctive architecture of the development. Master-planned by Sir Terry Farrell, Embassy Gardens is based by the Thames in Central London, and extends across six hectares and eight buildings. Once completed the site will host several embassies including the new US and Dutch embassy buildings, a series of apartment blocks and the world-famous Sky Pool. 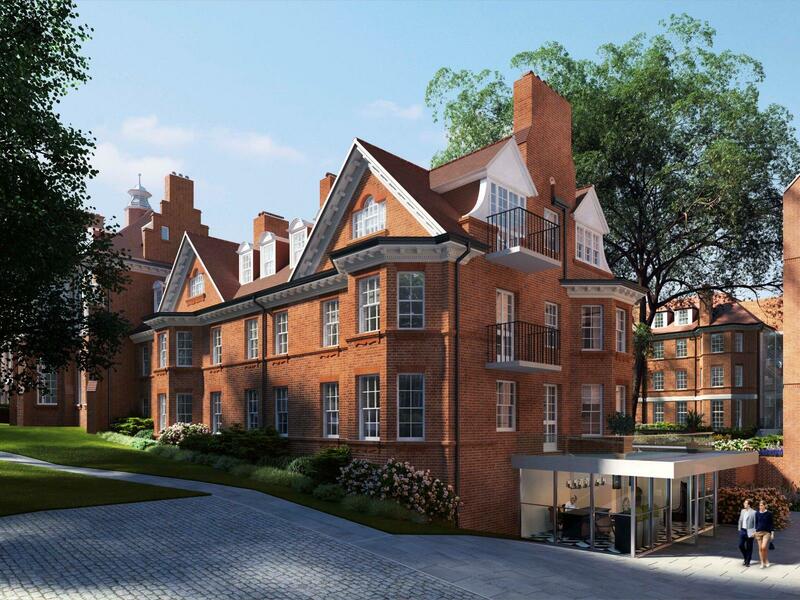 Dearneside has recently secured the architectural metalwork package on the prestigious new Hampstead Manor development, situated in one of Britain’s most desired postcodes NW3. Hampstead Manor, in Hampstead Village, is a new unique residential development combining a series of new builds, sensitive conversions and several Grade II listed buildings. Set over 12 buildings, there will be a total of 156 exquisite residences ranging from studio apartments to five-bedroom homes. The development has been designed to create sophisticated peace in an otherwise busy city atmosphere. All apartments are being built to exceptional standards, and experts have been called in to restore the Grade II buildings, revealing immaculately crafted original features. There will also be a variety of new build residences, adding a contemporary touch. The site boasts luxury amenities for its residents including a spa, fully-equipped private gym and swimming pool. Outside, leafy pathways lead through landscaped gardens and green spaces. This will be our first project with award winning developer Mount Anvil. Last week Dearneside secured the architectural metalwork package on “The Edge”, a new development by Taylor Wimpey. The Edge will comprise of two new stylish apartment blocks, situated in the heart of Brixton. The apartments will range from one-bedroom to three-bedrooms, and will each have a private balcony. The balconies will not only maximise natural lights, they will also provide private outdoor space, looking over Brixton. Brixton is a popular and lively area of South London within the Borough of Lambeth. It has become a much sought-after place to live in London thanks to its strong social culture, live music scene and markets. 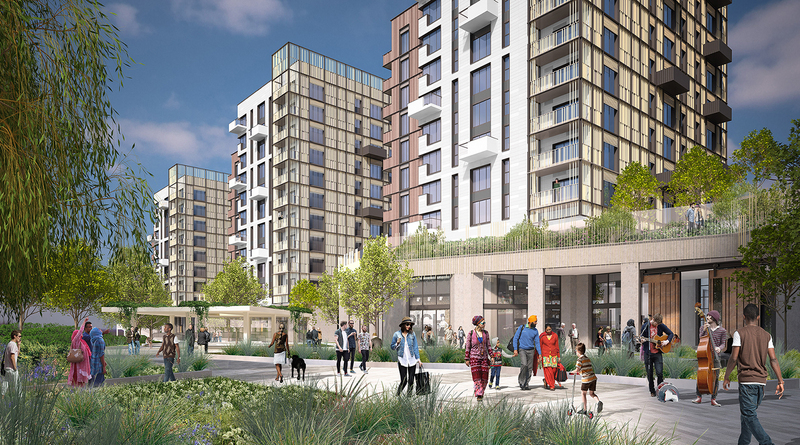 This will be the second development the company works on with Taylor Wimpey, following the Chobham Manor Development based in the Olympic Park. 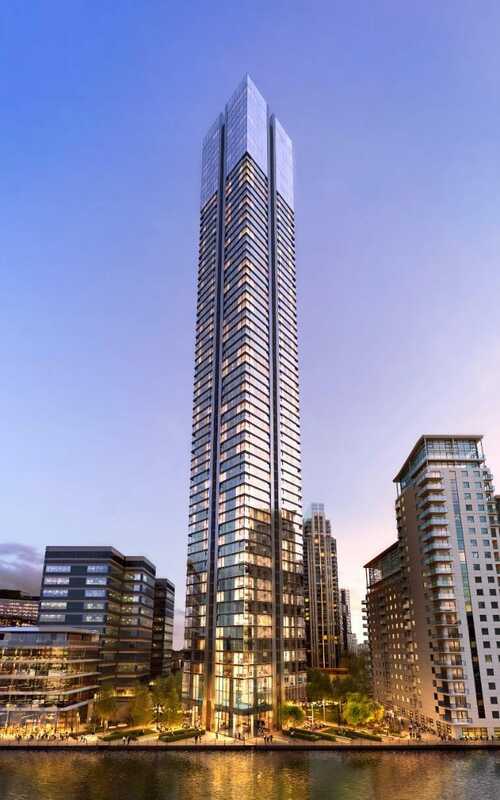 Dearneside is excited to announce that we have secured the “balustrade and metalwork” package on the new 68-storey South Quay Plaza project in Canary Wharf. Designed by Foster + Partners and developed by Berkeley, South Quay Plaza is set to be one of the tallest residential buildings in Europe. The building is not only designed to the highest standards, it is also being built with the aim of promoting sustainable high-rise living. It will set the benchmark for future similar developments across the UK. It will stand in beautifully landscaped park with 150 new trees. The park will also include new cafes and restaurants, all by the water’s edge of the South Dock. This latest project will contribute to our ever-expanding portfolio of skyscrapers in London. Other notable projects include Newfoundland Tower, One Blackfriars and 250 City Road, also by world-renowned architects Foster + Partners. Dearneside has successfully secured the balcony package on the first residential block at Westfield London. The £20m residential building is located on the doorstep of the Westfield Shopping Centre. It is 14 storeys high, towering over the shopping centre and surrounding buildings. The development comprises of 74 affordable apartments, which have been carefully designed in a saw-tooth composition to maximise natural daylight and views in all directions. At street level there are plans for cafés and shops, and a new public square. The building is designed to match the quality of the proposed residential neighbourhood opposite, with facades made from bespoke concave ceramic panels. The balconies are triangular to allow as much natural light as possible into the living space. Moreover the triangular shape provides maximum privacy. Dearneside is also currently onsite carrying out the metalwork package on the Westfield Shopping Centre extension next door. Dearneside is pleased to have been appointed as the Architectural Metalwork supplier for the Alliance Manchester Business School. 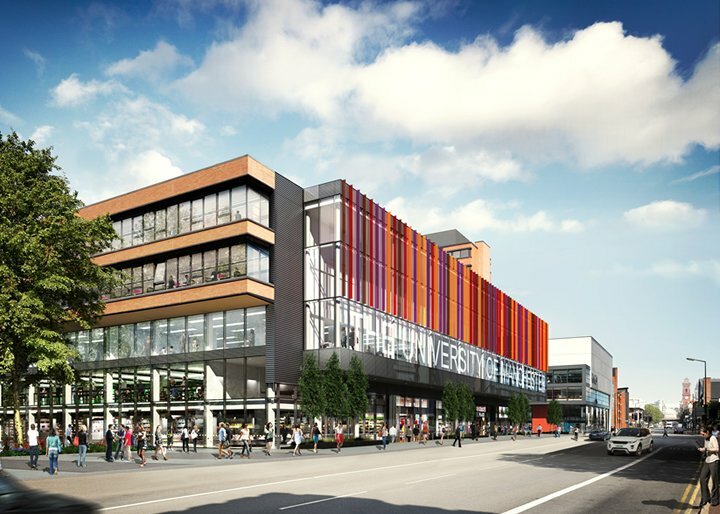 The £55m project, managed by construction firm Mace, will consist of remodeling and refurbishing the existing business school, as well as adding a new library and new catering facilities. The old precinct centre will be extensively redeveloped to create a 45,500 sq ft retail and leisure space with double-height glazed facades looking out onto Oxford Road. The new building is due to be completed by September 2018, in time for the next academic year. The scheme is part of the University’s £1bn Campus Masterplan.